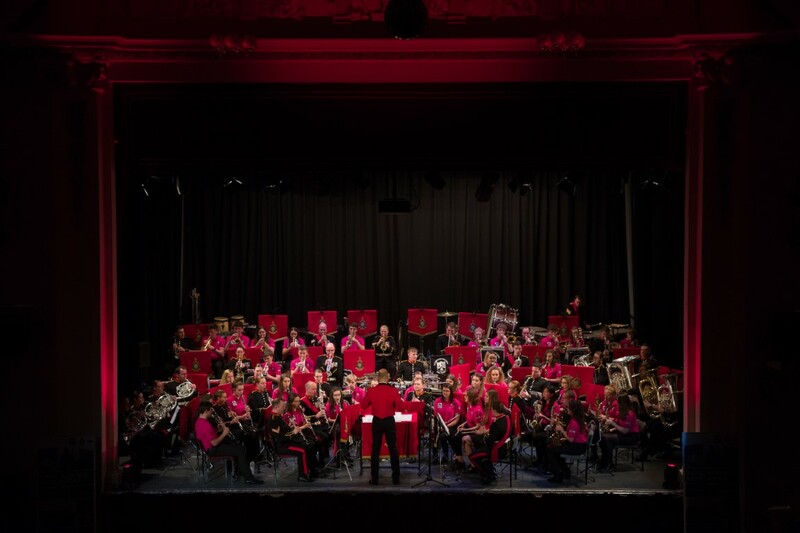 Last weekend the UVHS Music Department was honoured to once again host the Band of Her Majesty’s Royal Marines at the Coronation Hall for two spectacular joint events – a formal massed bands concert and a joint dance band function. On the afternoon of Friday 1st March, 35 senior students undertook a gruelling 2 hour rehearsal with the Marines Band where they had to sight-read the music for the following days massed band performance. 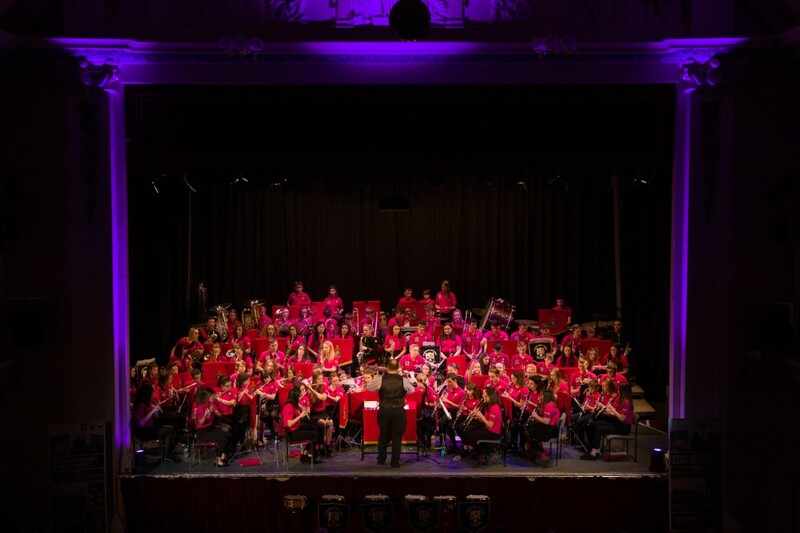 That evening, UVHS Swing Band hosted the Royal Marines Dance Band in front of a cabaret audience of 250 people. The UVHS group played a one hour set as the audience mingled with drinks and food and then the Marines Dance Band played two 45 minute sets late into the night. By the end almost all of the audience were up dancing to the very varied programme of pop, rock, soul and funk. 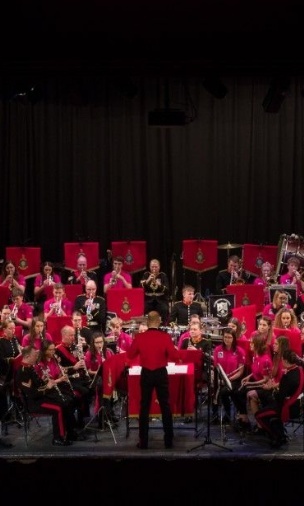 Everyone in the region knows the quality of the UVHS Swing Band, which has entertained audiences throughout the country and in Europe on many occasions (having appeared on Blue Peter, BBC Radio 2 and Classic FM as well as both French and Spanish TV), but the Marines Dance Band was truly outstanding. The next day, following a lunchtime careers presentation from the Band Service, the massed band rehearsed their programme once more, giving the UVHS musicians a chance to look at the music again before performing it. 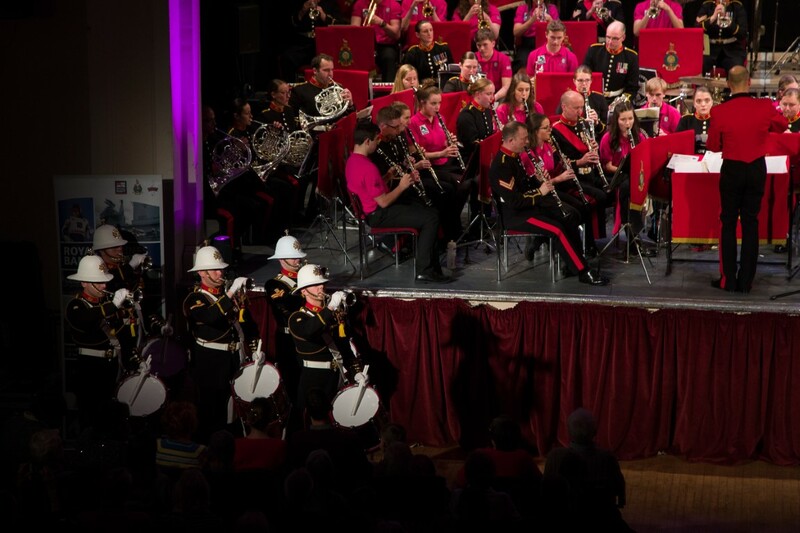 At 7.30pm the lights went down and a packed-out audience (the concert sold out before January) took their seats expecting the usual spectacular event from both UVHS Wind Band and the Royal Marines Band – they were not to be disappointed. The first band on stage was the 92-strong UVHS band, joined by 4 former students who are currently serving in the Marines (Sergeant Andy Spain, Corporal Ruth Wardle and Musicians Rob Norrie and Jodie Giles) who performed an amazing 40-minute set - the highlight being the Percussion Ensemble, who were very surprised to be joined by the Marines Corps of Drums for a ‘drum-off’ half-way through their routine, which then went into the opening title music from The Avengers. After the interval the Marines Band took to the stage under the Baton of their Director of Music, Captain Steve Green, to perform a dazzling set of musical prowess, including the performance of several compositions by former UVHS student Andy Spain who is about to complete the Bandmasters’ Course in Portsmouth. The finale was the massed band, with the 35 senior UVHS musicians coming onto the stage to perform the Symphonic Suite from ‘Hairspray’ (which UVHS is staging at The Coro on 22nd/23rd March), music from the film ‘How To Train Your Dragon’, the 'Can-Can’ and then the traditional close to all Marines’ concerts with Sunset, Rule Britannia and all the naval marches. Everyone at the concert will agree that it was an absolutely amazing concert from both bands – one that will stick in the memory for a long time. 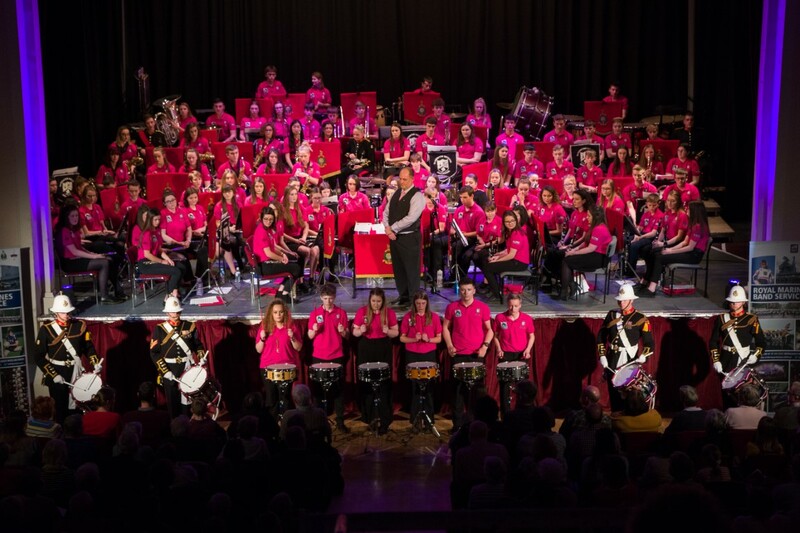 Captain Green told them that he had never before experienced a school that could produce the sheer quality of music and number of musicians that UVHS did, and that both the town and county should be very proud of what the students continue to achieve in the music world.